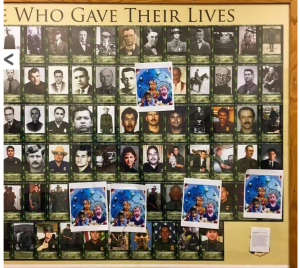 Dozens of demonstrators occupied and vandalized a privately owned U.S. Border Patrol museum near El Paso, Texas, over the weekend, according to the site’s top official. “Say it loud, say it clear, Border Patrol kills!” group members standing inside and outside the facility yelled. “That was really intimidating to our staff, plus their kind of aggressive attitude,” said the museum official, a 31-year veteran of the Border Patrol. The museum is a nonprofit and apolitical. Ham, who was not at the museum at the time of the incident, said he got a call from an “upset” staff member. “We have cameras, and we saw them gathering in the parking lot. We saw them come in the museum, and she had called 911. I was able to watch the cameras on my cellphone. They came in after putting masks on,” Ham told the Examiner in a phone call Monday. Ham said his staff led non-protesting visitors to the back of the gift shop, so they could hide until police arrived on the scene.